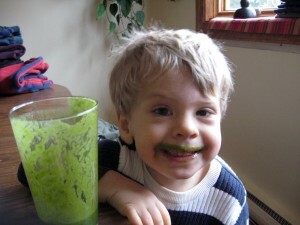 How Vitamix Changed our Lives - Got Greens? 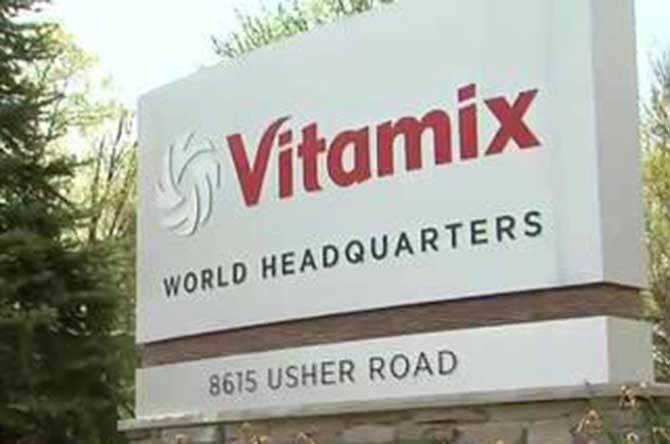 Learn more about Vitamix as a company. When Jonathan was born, our lives changed dramatically. We became parents, so of course it did! Something wonderful happened. Becoming parents gave us new purpose in several ways. Now we had something, someone else more important than ourselves. Along with our new purpose, came a new focus and passion from deep within. Jonathan had a very challenged beginning in this world. His prenatal and birth story provided him a grueling journey, and us as his parents, a new level of awareness and compassion. 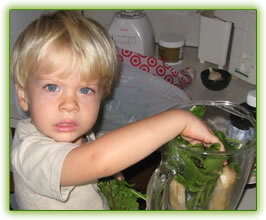 But this is not the story of our son, it is the story of us and Vitamix. We were driven to an obsession about how to best feed our son, and ourselves. The focus was on nutrient dense, detoxifying natural foods. We made everything we we ate from fresh wholefood. A blender soon entered the picture to make traditional baby food. Our first blender was a $3 Hamilton Beach we bought at a garage sale. That blender soon was running multiple times a day making baby food, green smoothies, and vegetable blends for all three of us. 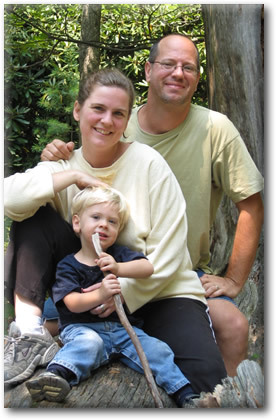 After losing my job to the dot-com collapse I continued to work any odd job I could while Shawna leveraged her Occupational Therapy career to keep an income flowing to enable at least one of us to remain with Jonathan at all times. As our passion and determination for understanding true health and nutrition grew, so did our outreach to other parents and families who had similar interest. It didn’t take long for that $3 blender to go up in smoke, literally; it was about 2 months. We replaced it with a new $99 Cuisinart blender. That one didn’t last much longer and we were soon searching for another blender. By this time we had heard from many folks that we should get a Vitamix. We thought how nice would that be but we can’t afford a $400 blender – and what can a $400 blender do that our $99 blender couldn’t do? In doing a food prep demonstrations we had the opportunity to use a friend’s Vitamix, since we were currently without a blender. It was love at first blend. After doing thousands of blends with “regular” blenders we knew instantly the value of the $400 blender. 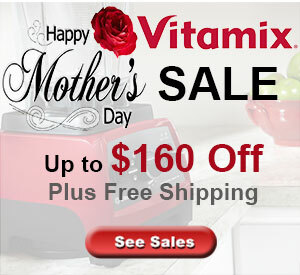 We immediately went shopping and found that we could purchase a used Vitamix 5000 from Vitamix for $299. A loan afforded us the means to make the purchase right away. Shawna and I found ourselves traveling around the state with our Vitamix in tow providing workshops and education on how to truly eat better with a blender. 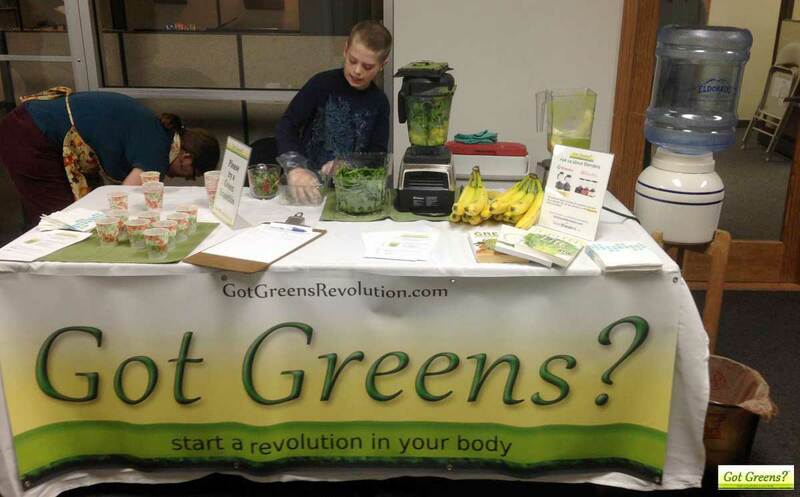 Green smoothies became a focus but it was so much more than that. We moved homes a lot around the county to keep the income flowing. No matter where we traveled we had our Vitamix and we continued our blender health education and workshops. We had quite a following and we were driven to reach more people. I created a website, this one, to expand our reach and to keep the communication flowing to everyone we had met. As Jonathan grew older, so did his needs. We had to stop moving around so much. More focus was put into our online outreach than our in-person workshops and lectures. In addition to community, food, and nutrition, our resources included a lot more about blender education and how to make best use of your blender not matter what kind of blender you had. 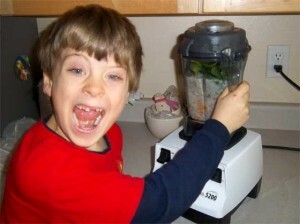 Having a Vitamix blender improved our life greatly and we wanted to share that with as many people as possible. It didn’t take long before we were providing a lot of support for people who wanted to buy a Vitamix. One day a friend asked us how many people we thought had bought a Vitamix because of us? We had no idea of course, because we weren’t selling blenders we were passionate educators. At that point he asked if we were aware that we could make an income by referring people to buy Viamix. Well, we had no clue. He shared how we could become a Viamix Affiliate and get commission on sales that we referred directly to Vitamix. We were sending hundreds or thousands of people to Vitamix to purchase anyway so why not benefit from it? Lord knew, we needed the money. With a little research Shawna was signed up as a Vitamix Affiliate and we had a coupon code to share with all those we connected with about Vitamix. We didn’t think much about what it meant to be a Vitamix Affiliate, we just continued doing what we loved and shared a code for those thinking about buying a Vitamix. When a check arrived in the mail for ~$1000 made out to Shawna we were at first more confused than excited. Having no idea where it came from, life was put on hold until we were able to put it together. This was the commission we earned for helping people buy and use a Vitamix. How awesome right? Unbeknownst to us, because this was all new and we didn’t know what the 3 letters SEO meant, our website, GotGreensRevolutions.com, was at the top of google for nearly all searches related to Vitamix. All we knew is that we were doing occasional live workshops, green smoothie education booths at health fairs and for some “strange” reason, responding to hundreds of emails asking us questions about Vitamix blenders. About 4 months later another check arrived in the mail. We got to know what it felt like to be someone who won the lottery. We were truly grateful and blessed. 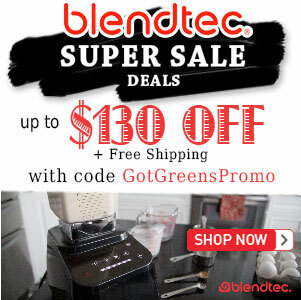 I took some of the money we were making from affiliate sales to buy more Vitamix blenders. I wanted to know everything about them. I took them apart, put them back together, stress tested them, and spent countless hours talking with Vitamix employees learning everything I possibly could about their blenders. More articles were written, more blogging was done, I joined forums, online communities, and Vita-Village (Vitamix’s own online community) to share my knowledge and answer questions. As a funny aside, I found that the busiest day of the week was always Sunday. For some reason calls and emails were four times more on that day than any other. It took a little time to realize that Vitamix Customer Support was closed on Sundays. Lot’s of support for our son, less worries about money, and we were doing what we loved most – educating and helping people. We were Vitamix’s top affiliate.